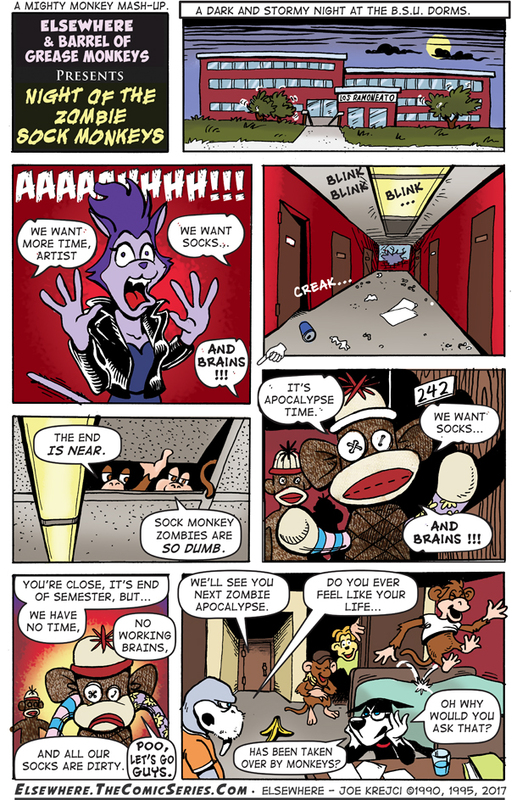 Now the true horror of sock monkeys, deadlines, and multiple comic projects can all be told. And it can be shared with you now. Thank you. Part 2 is going up and The final part will be out at ... Christmas at the rate things are going.